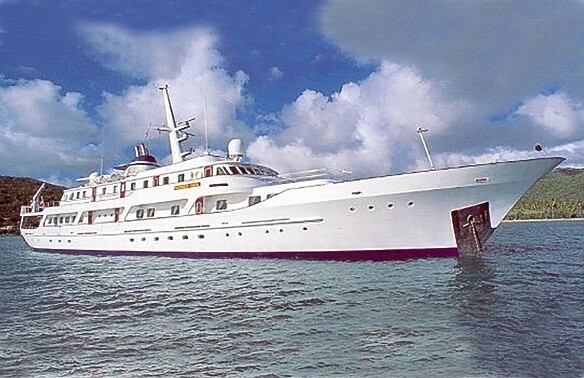 MESERRET II (ex S Cape, Majestic M, Midnight Saga, Mawasa) is a 57.2 m (187.7 ft) superyacht built by Cammenga, Holland in 1978. 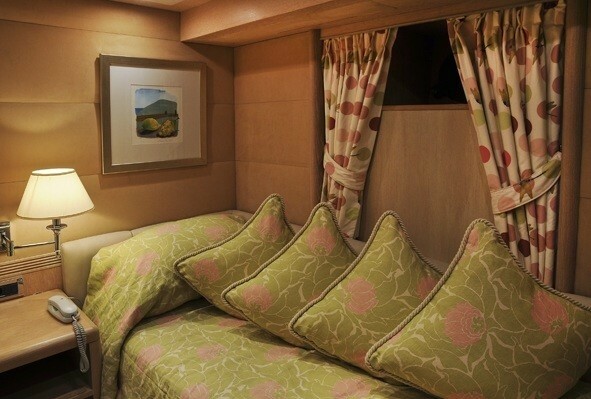 She was refitted in 2004 and 2009 and is able to accommodate up to 12 guests in 9 spacious cabins. 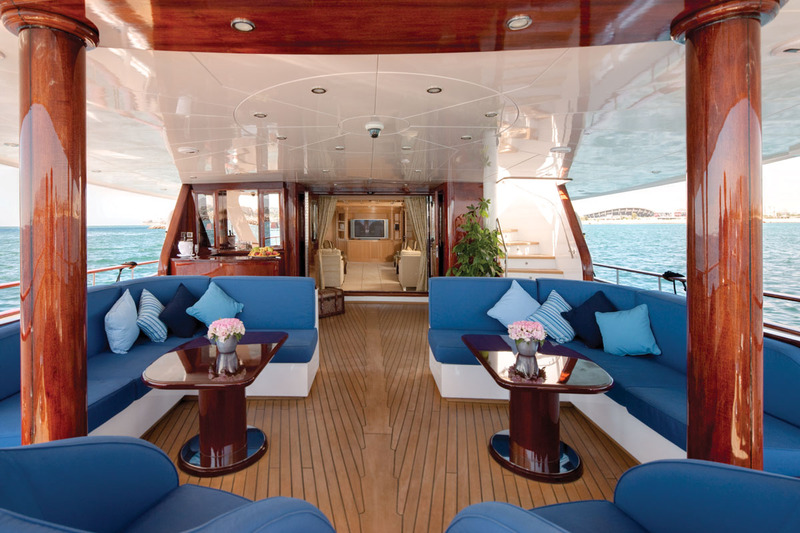 MESERRET II motor yacht is a classic style yacht with a canoe stern and tasteful interior decor. 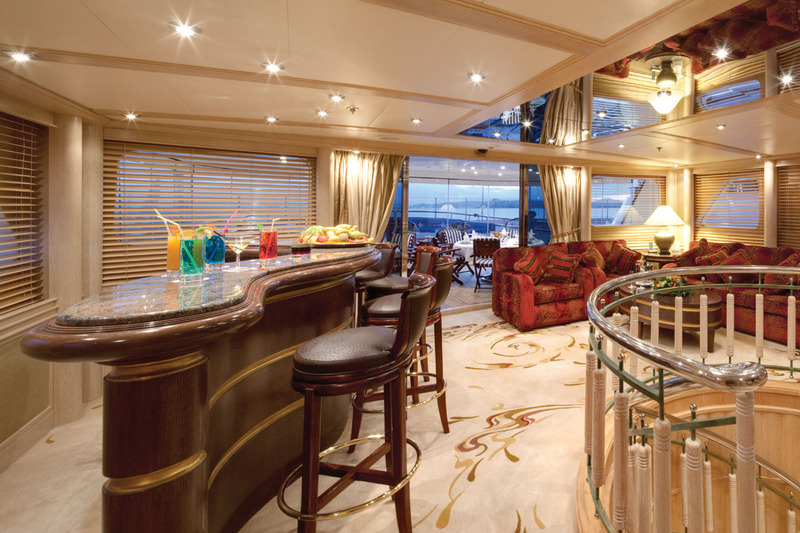 She has an excellent charter history and a great layout, offering a large main salon with 2 sofa areas and separate and impressive formal dining room, a beautiful sky lounge with bar, sofa and entertainment area, and 9 cabins including 5 doubles, 2 twins and 2 singles. 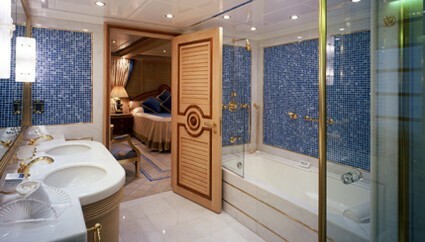 The master cabin in particular is impressive with an office, marble bathroom with Spa Pool and separate rain shower. 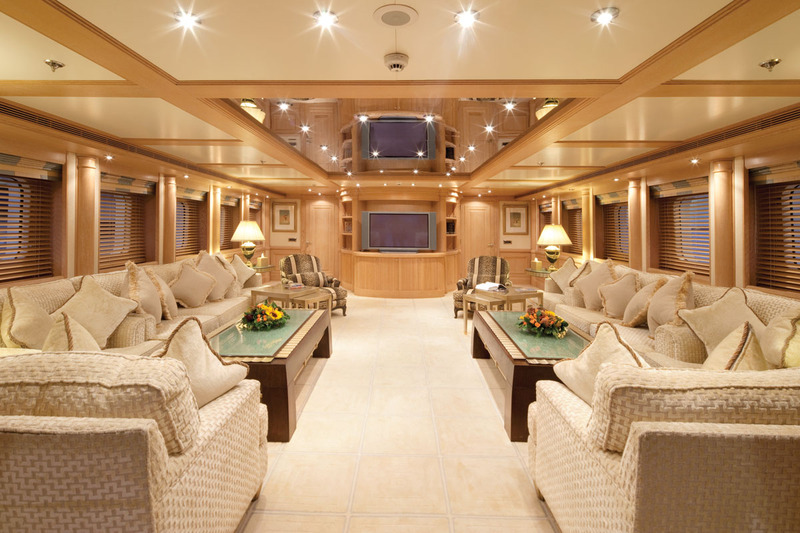 Her interior is light-filled and provides a range of entertainment options, whether interested in larger group functions, or relaxing with a smaller, more intimate groups of family or friends. 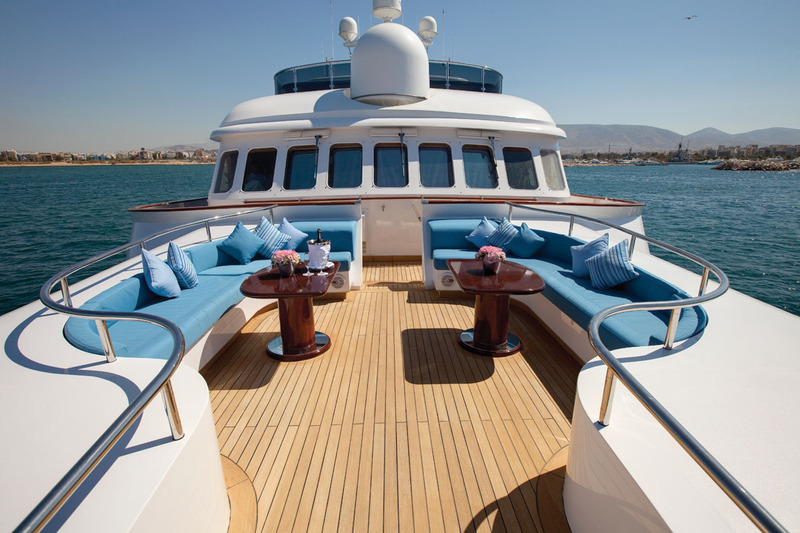 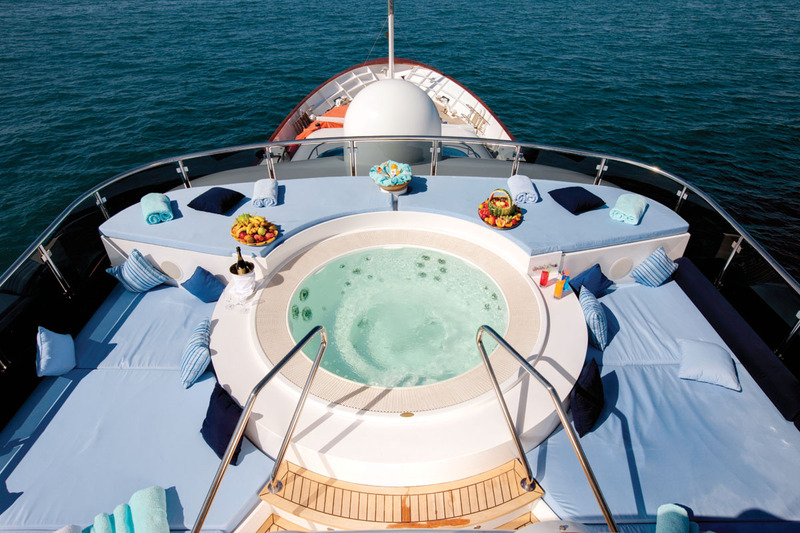 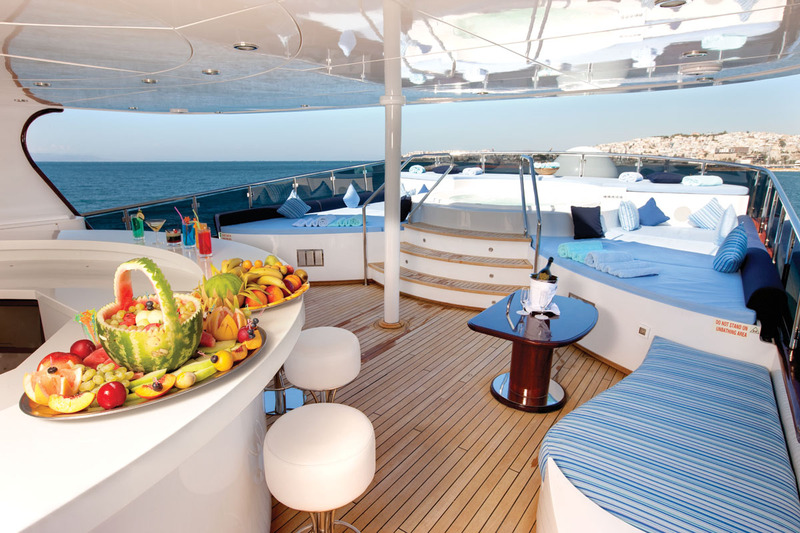 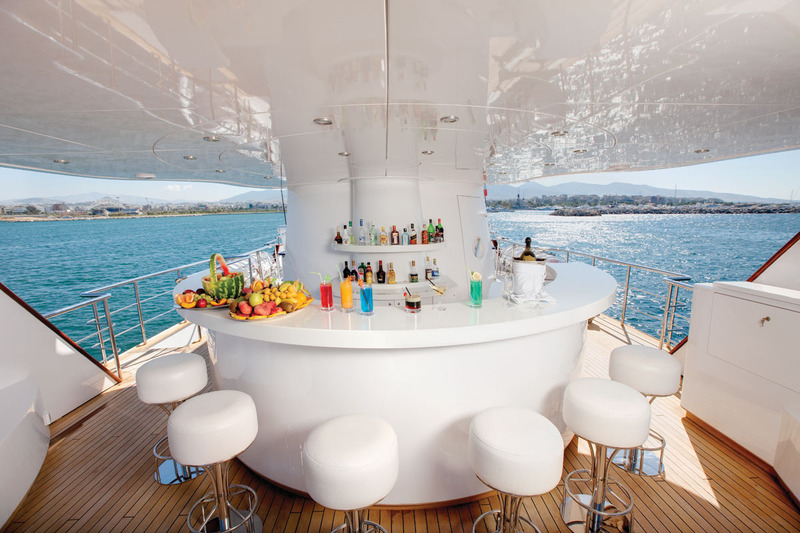 MESERRET II also provides extensive outdoor spaces with a fully shaded upper deck aft with dining suitable for 16 guests and a versatile sun deck with large Spa Pool, built-in sun pads and a shaded bar area. 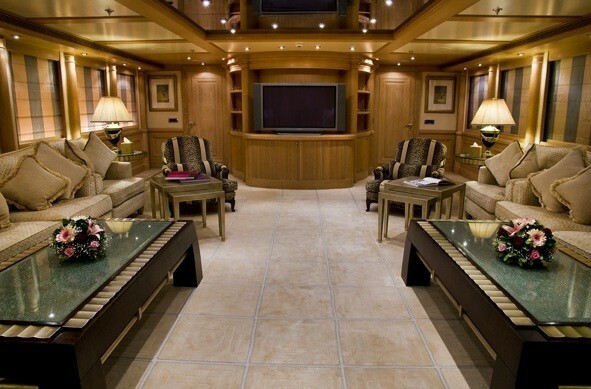 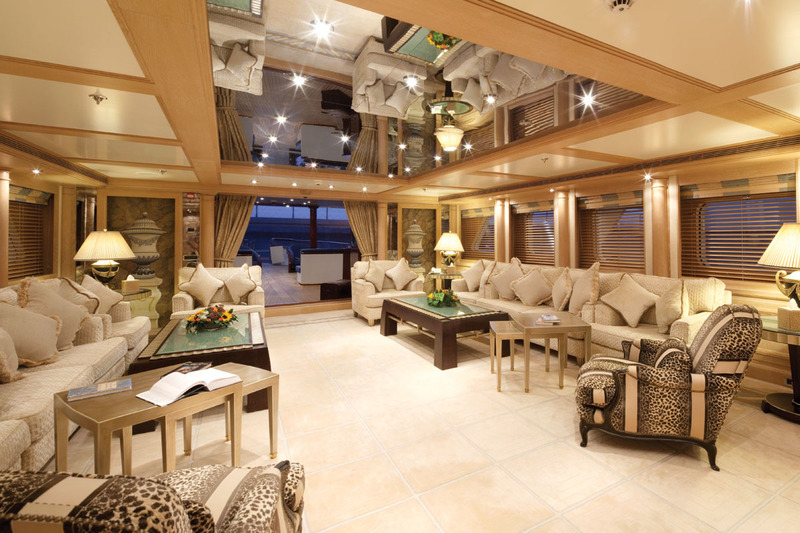 The yacht also as a large an impressive covered aft deck. 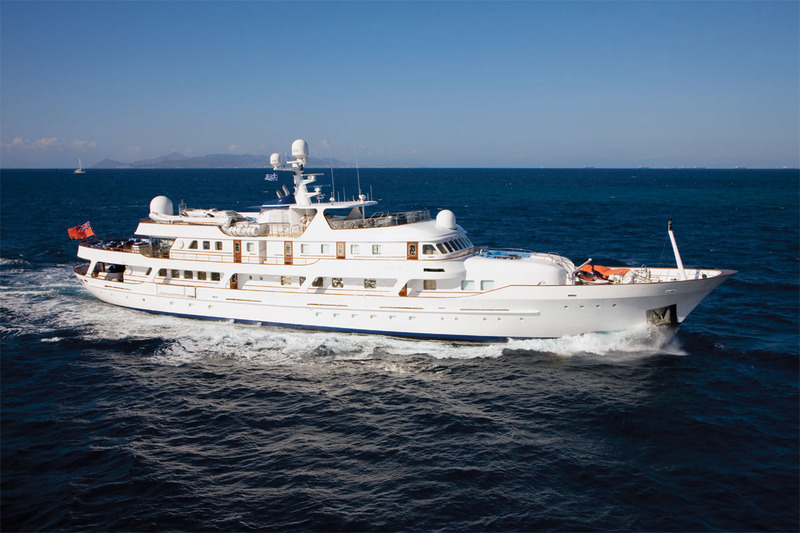 She is Lloyds classed and MCA compliant and boasts an impressive cruising speed of 15 knots and a range of 6,000 nautical miles. 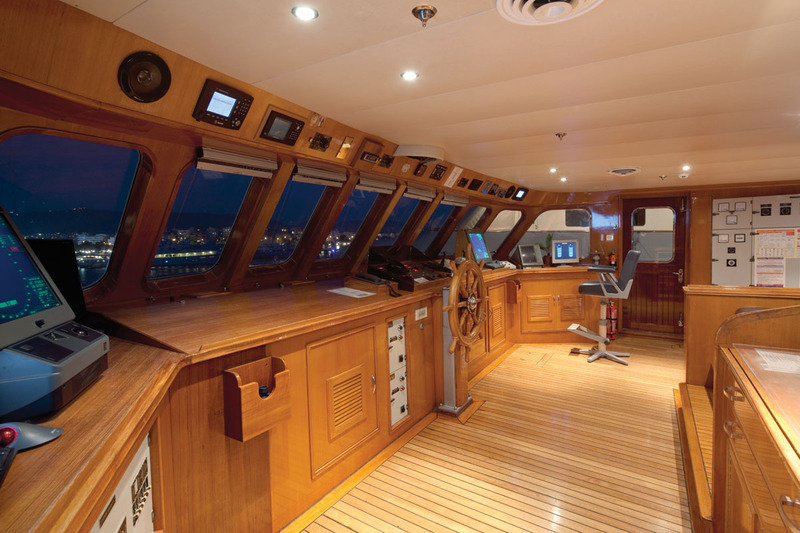 She has a professional crew of 13 ready to welcome you onboard. 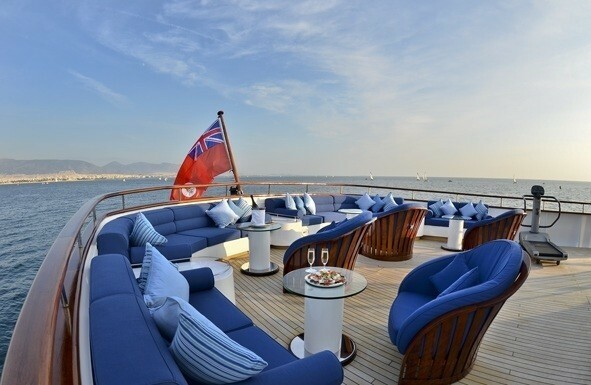 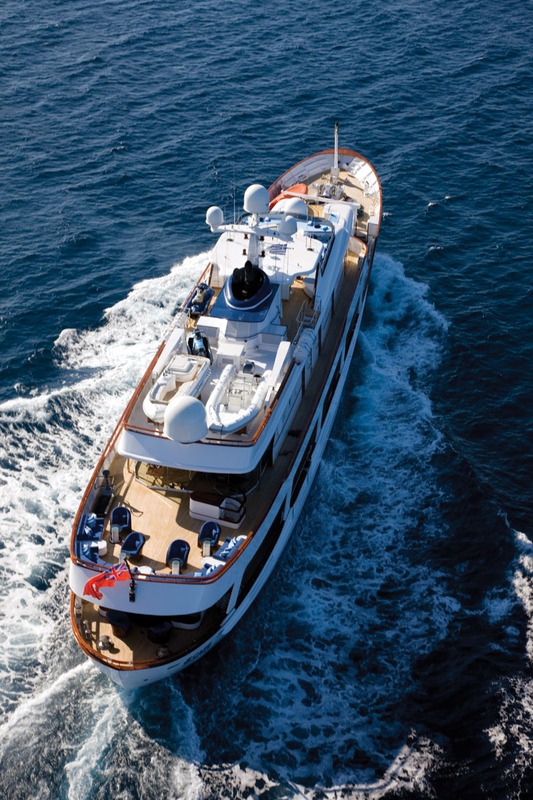 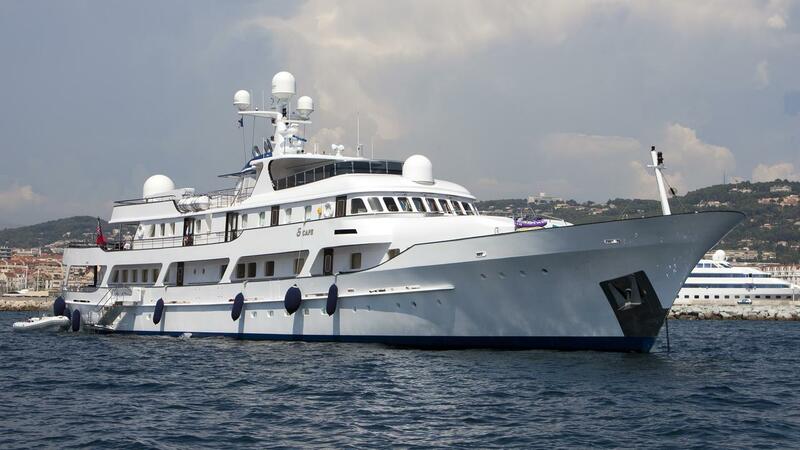 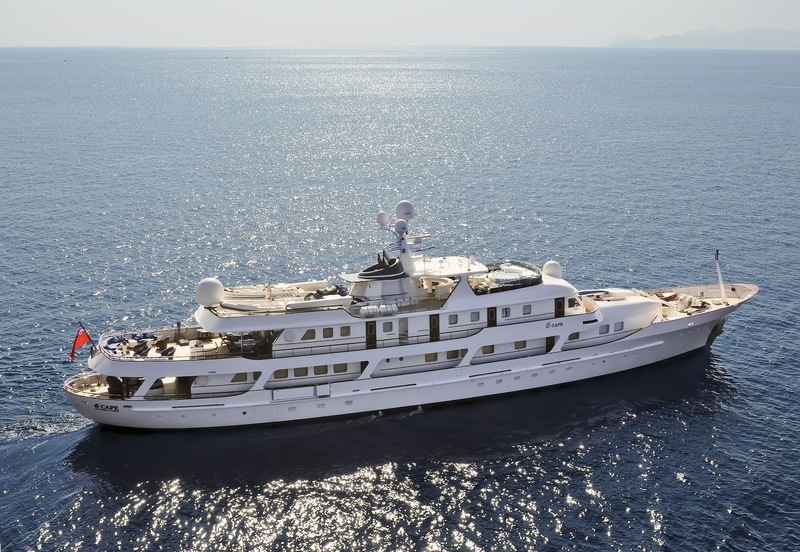 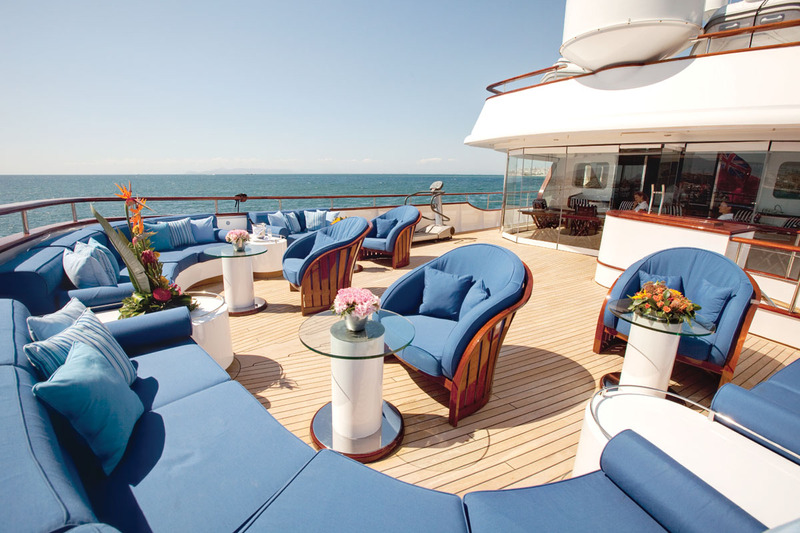 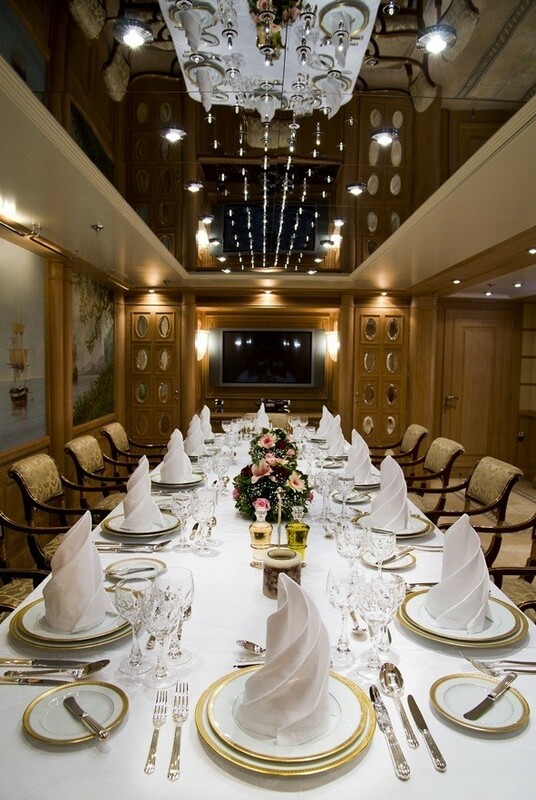 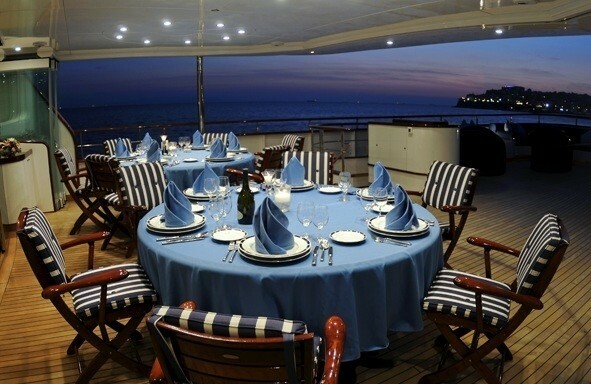 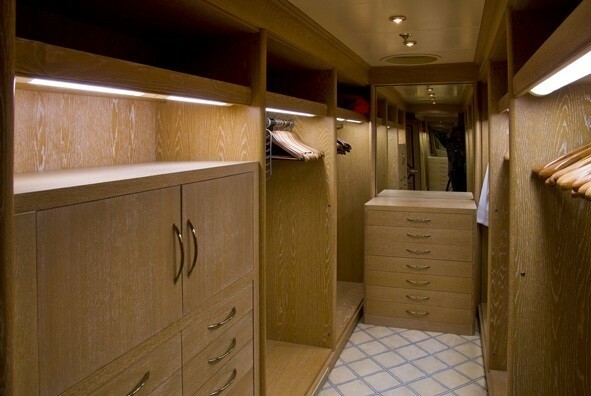 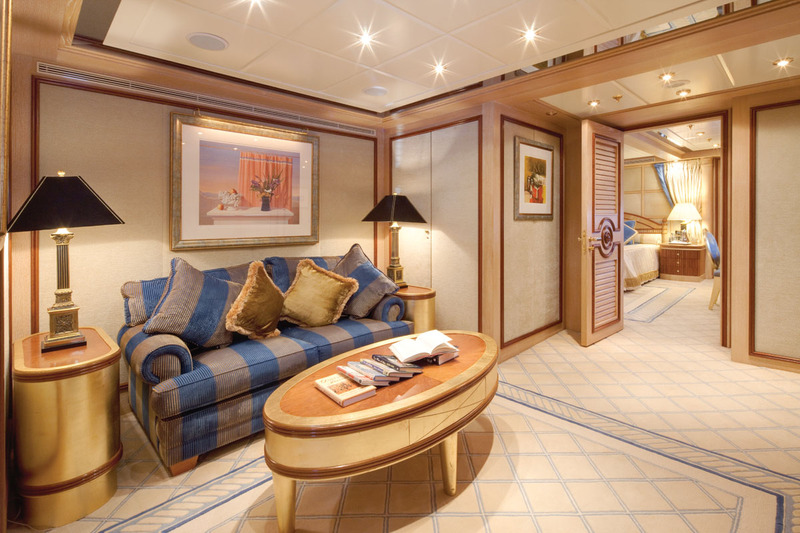 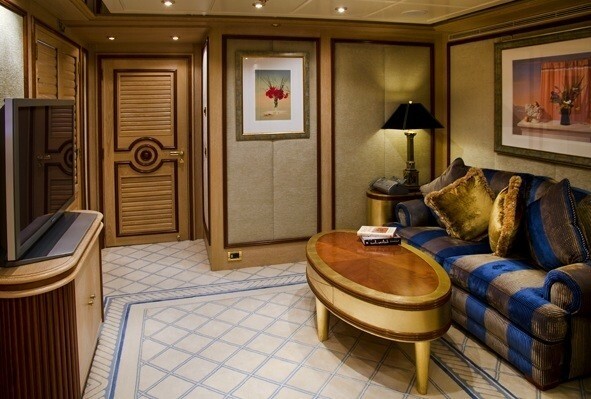 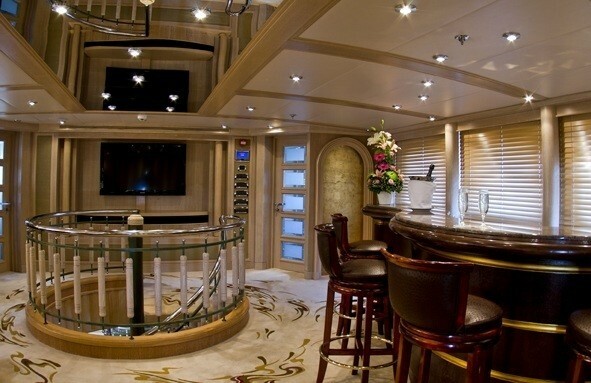 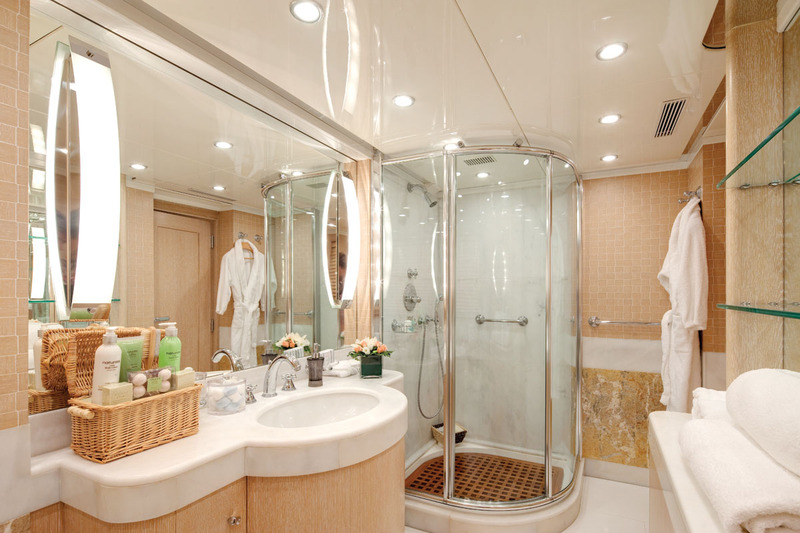 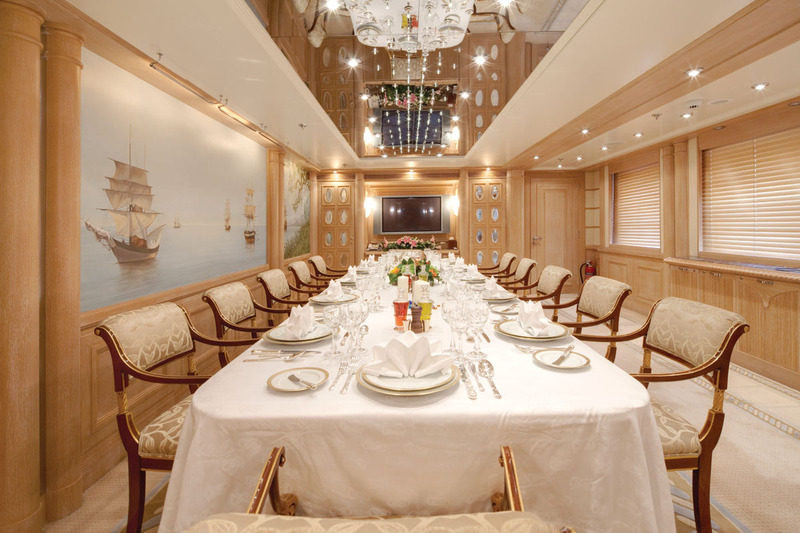 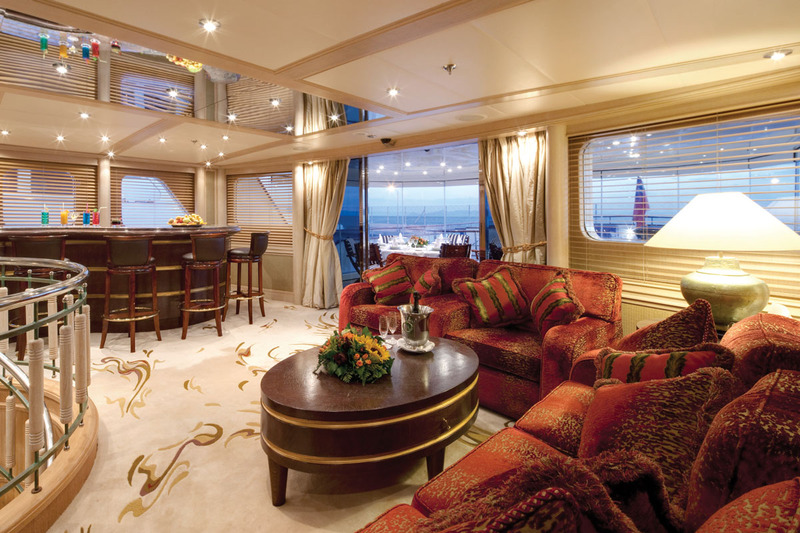 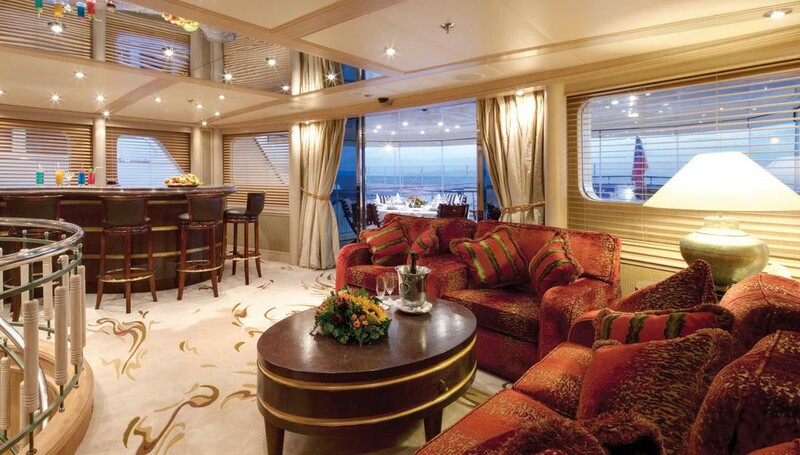 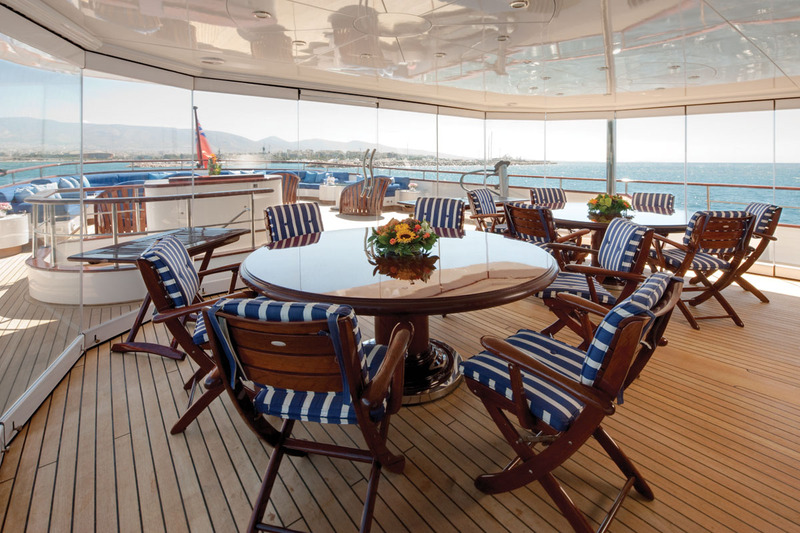 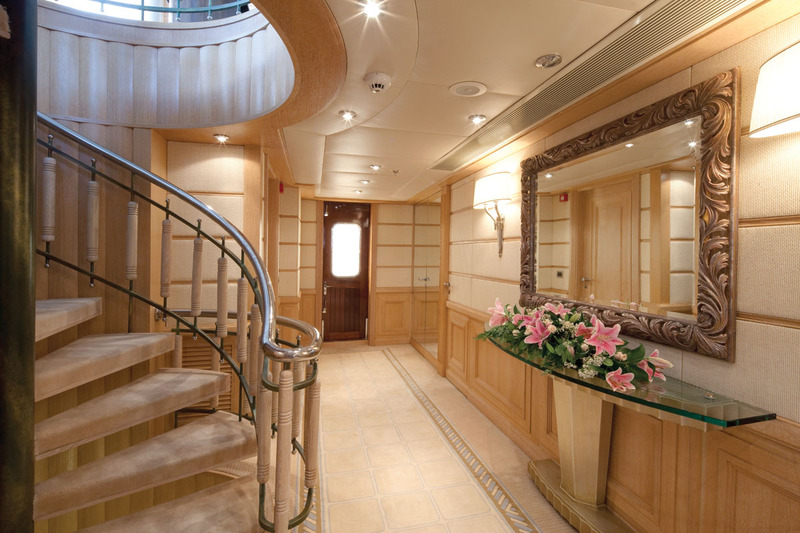 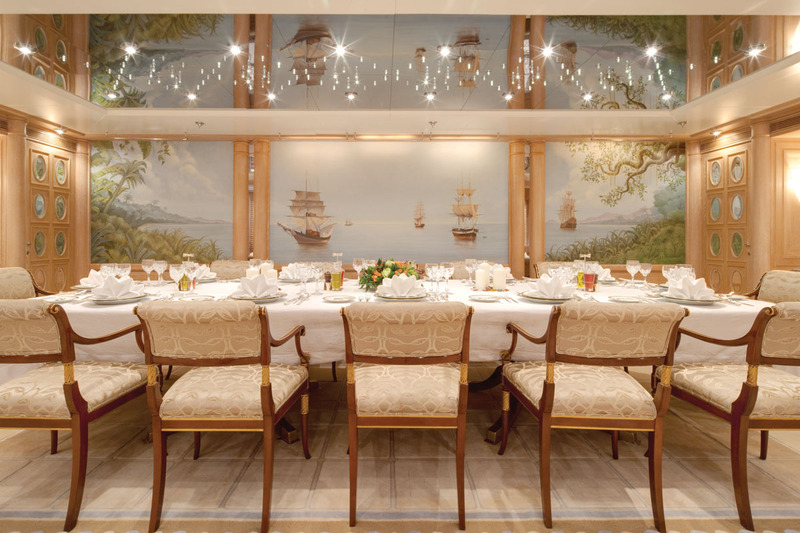 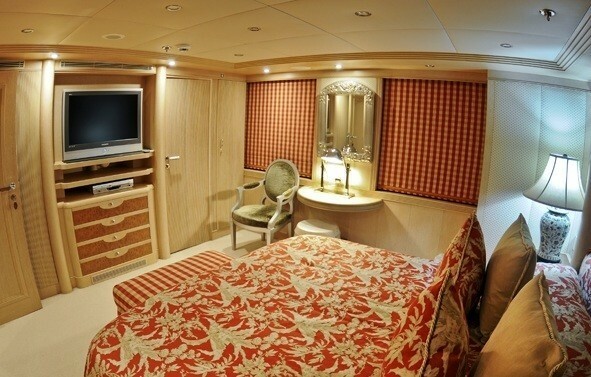 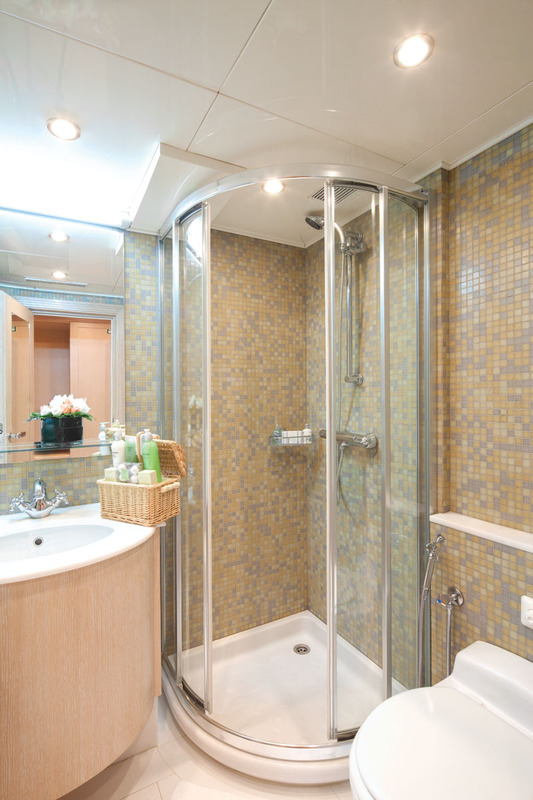 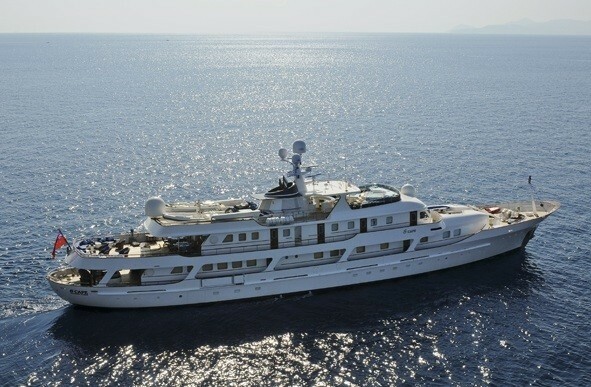 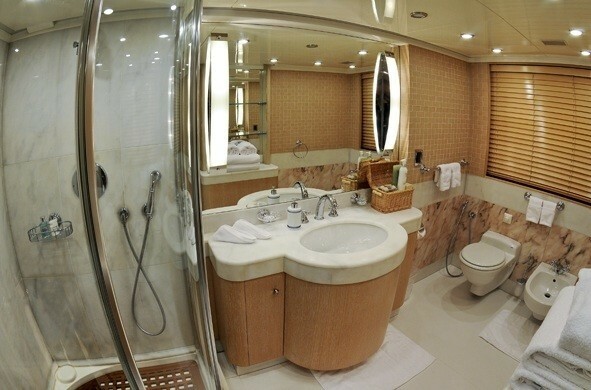 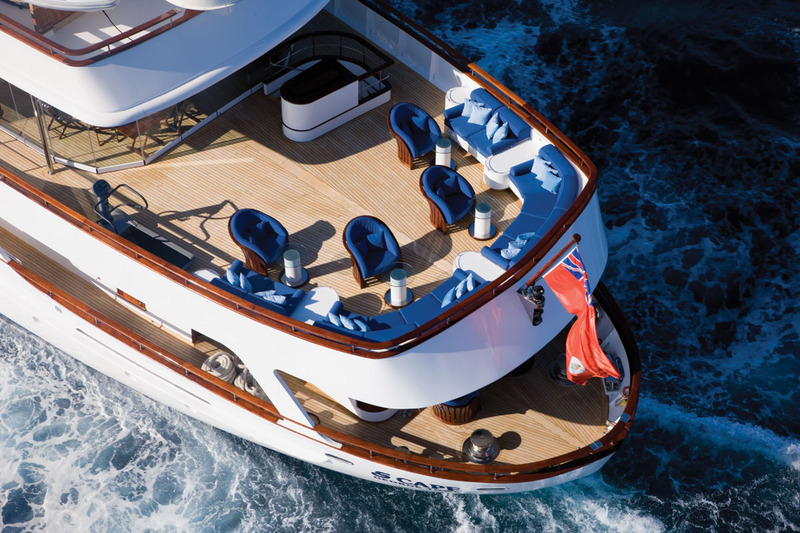 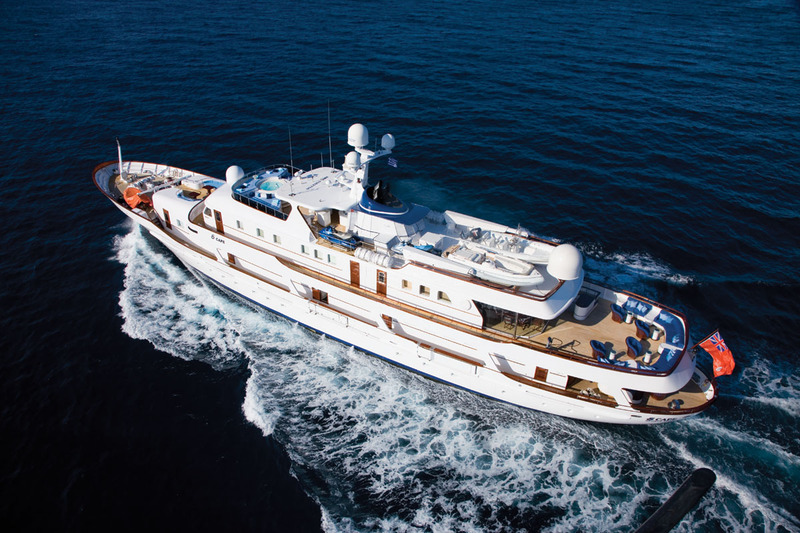 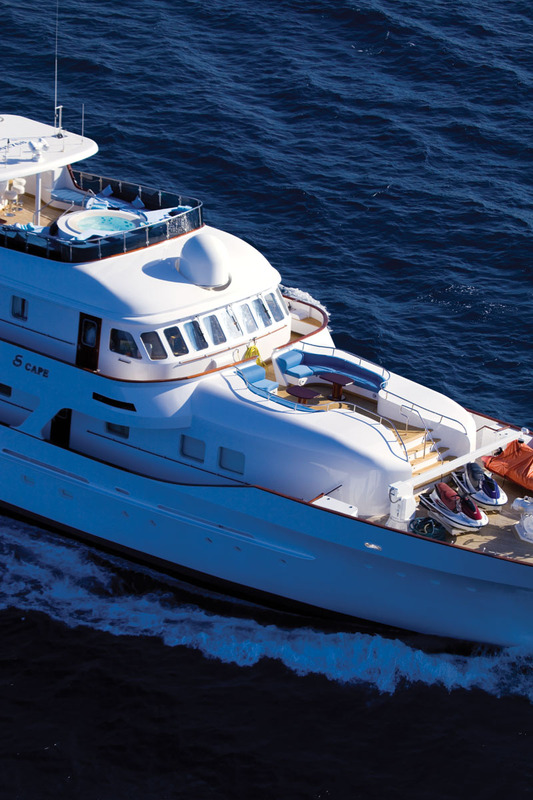 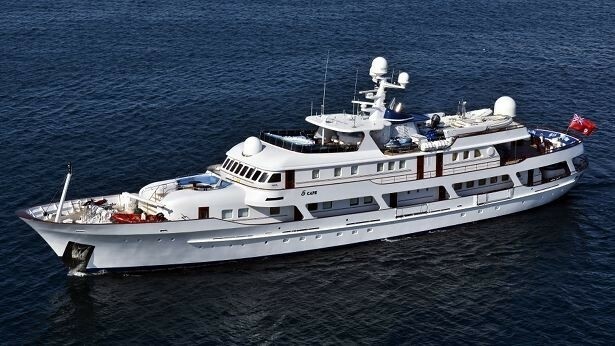 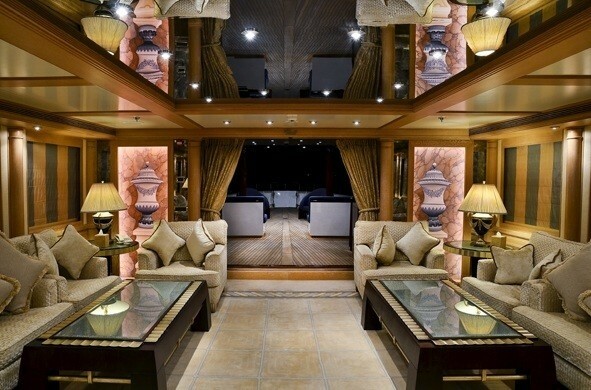 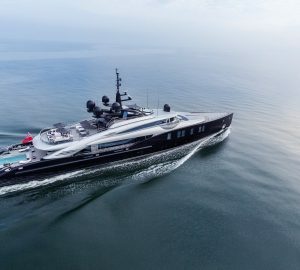 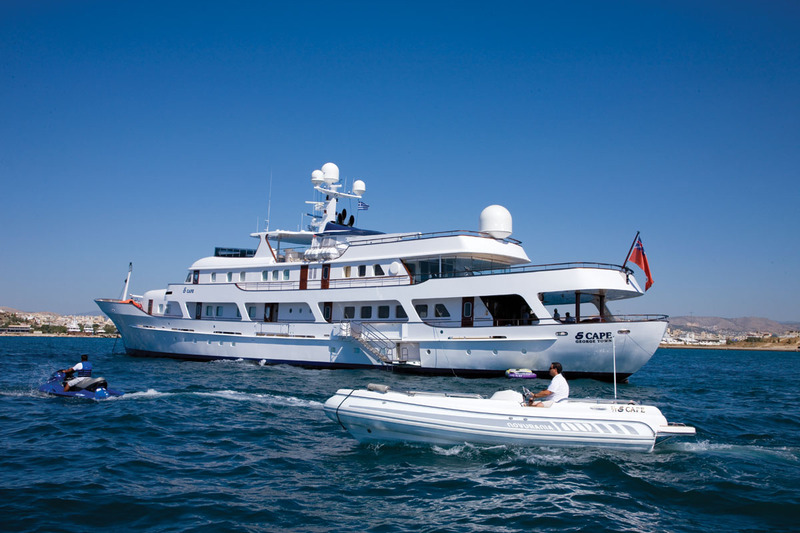 MESERRET II is able to accommodate up to 12 guests in 9 cabins. 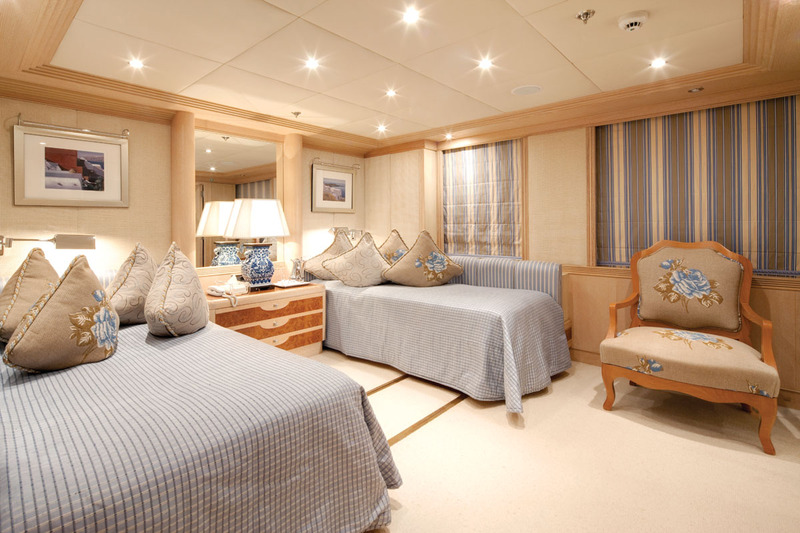 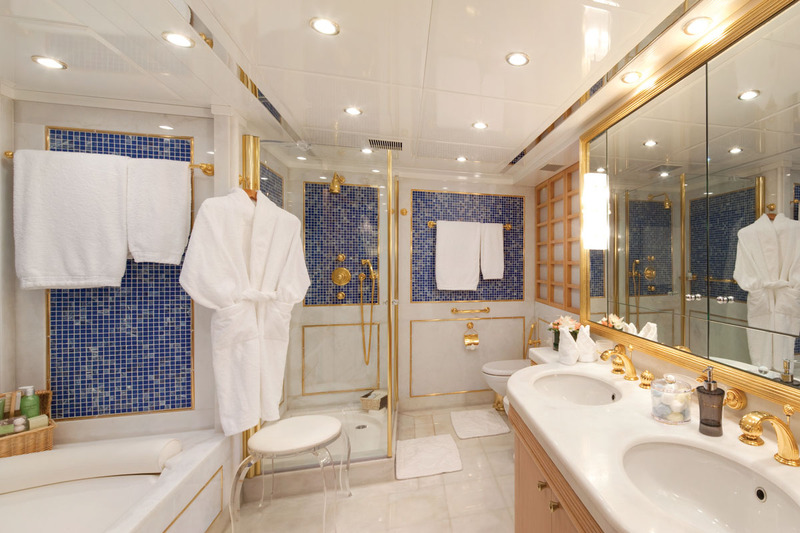 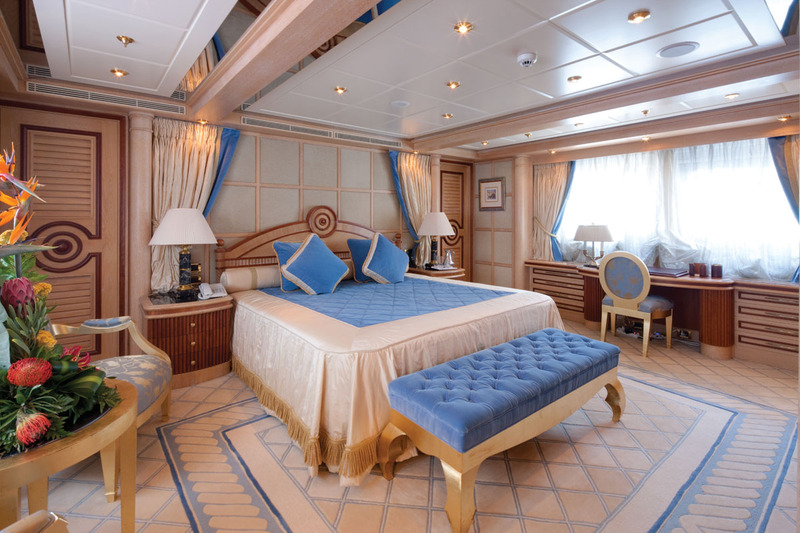 The full-beam master suite comprises a private study with a separate deck entrance, spacious stateroom with large windows which fill the room with natural light, walk-in dressing area, and a marble bathroom with Spa Pool bath and separate rain shower. 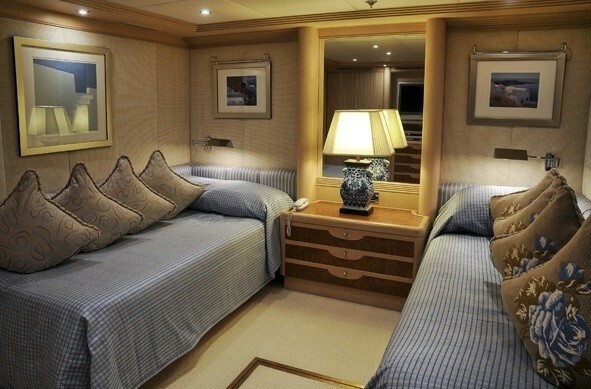 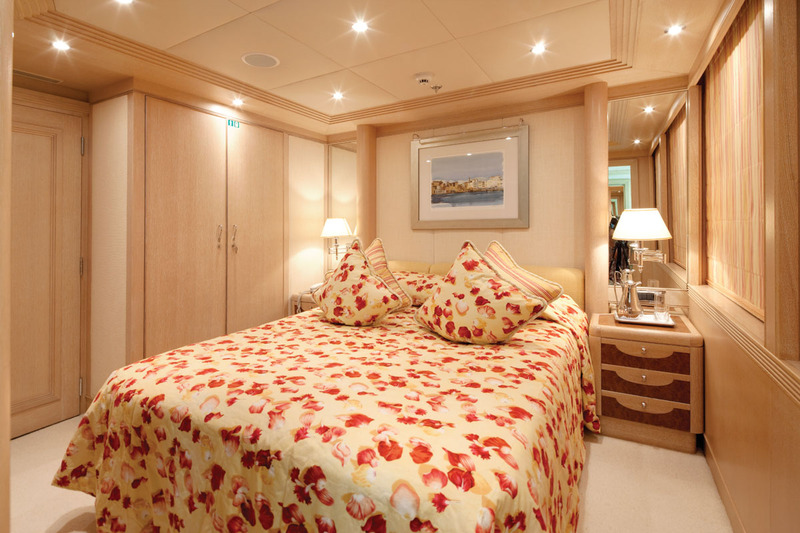 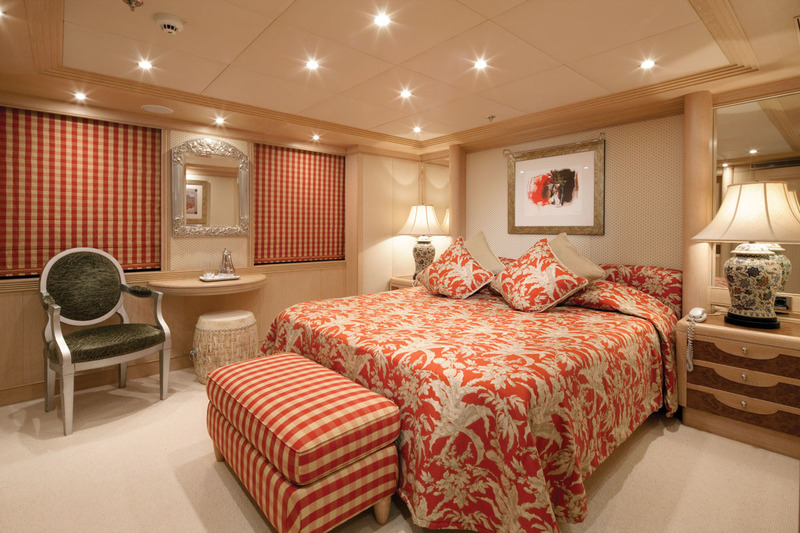 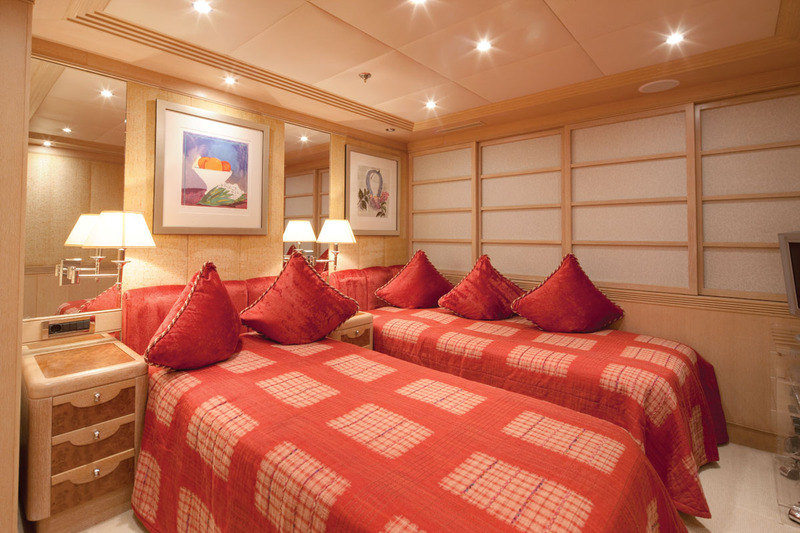 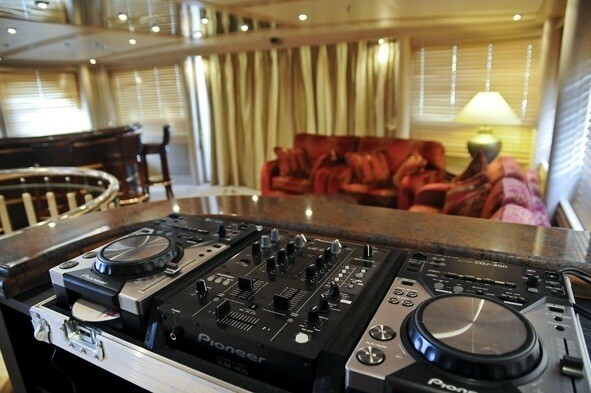 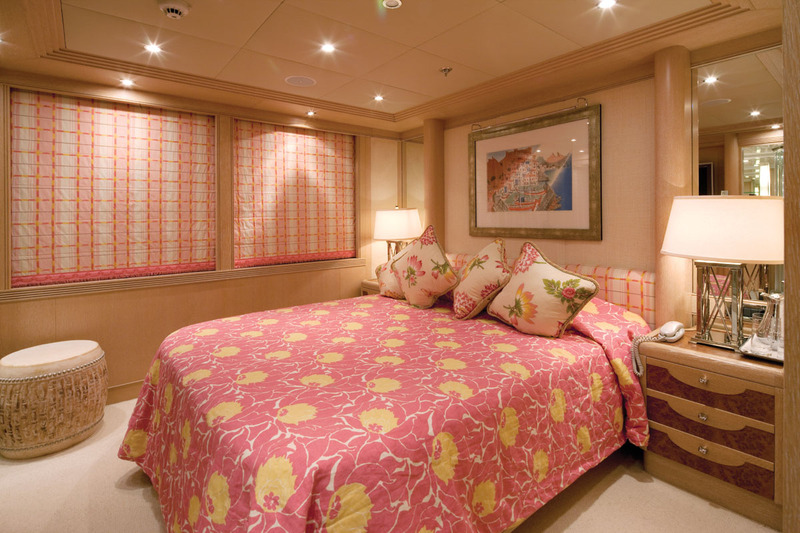 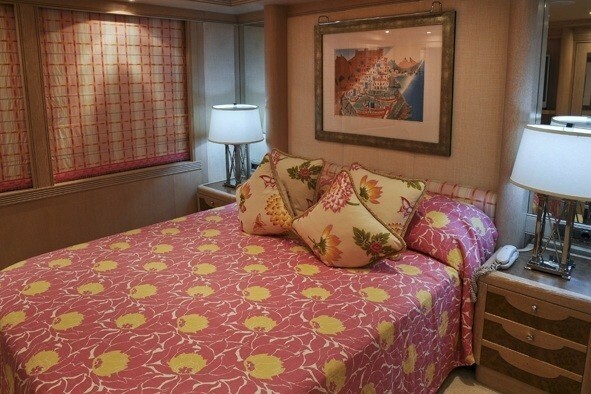 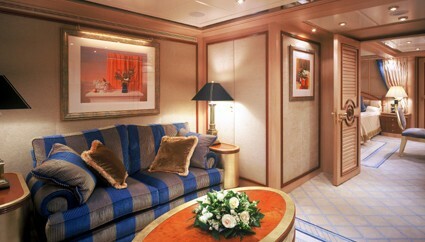 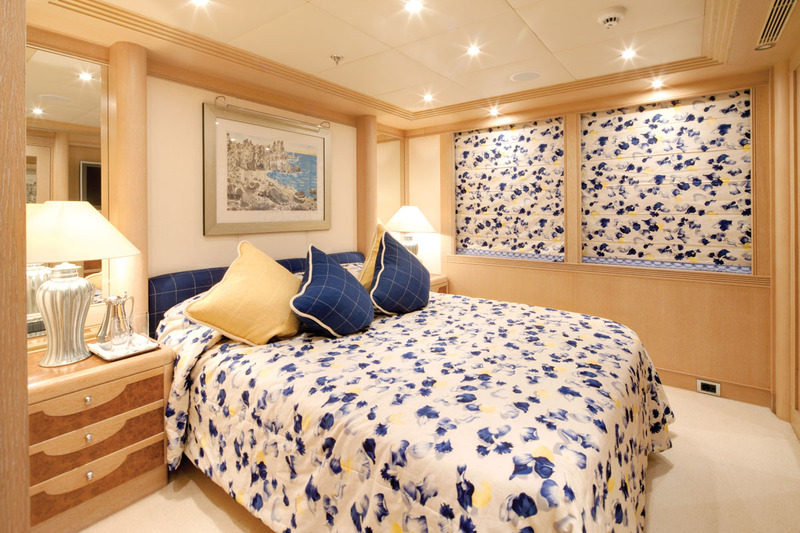 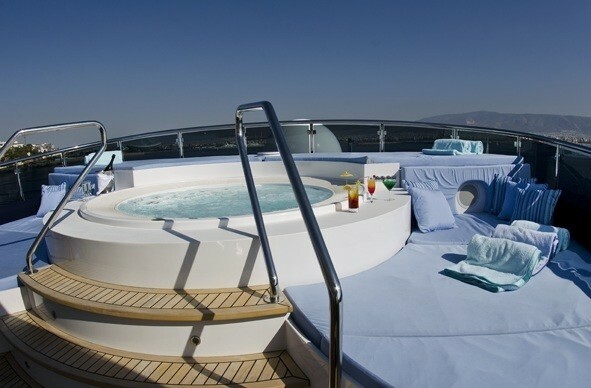 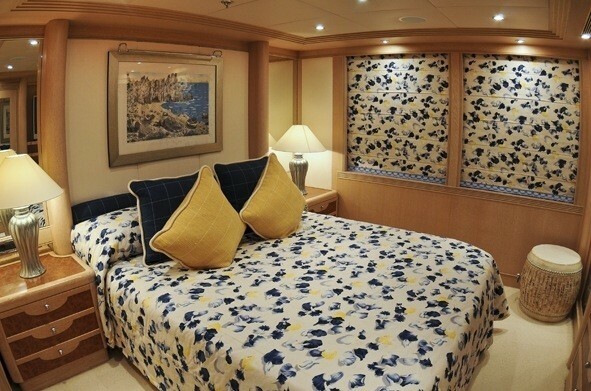 There is also a VIP stateroom with king-size bed, three queen cabins and two twin cabins, all located on the lower deck. 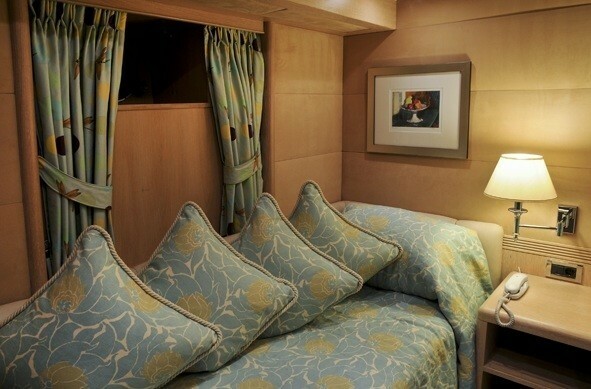 A further two single cabins, suitable for staff or children can also be found on the lower deck. 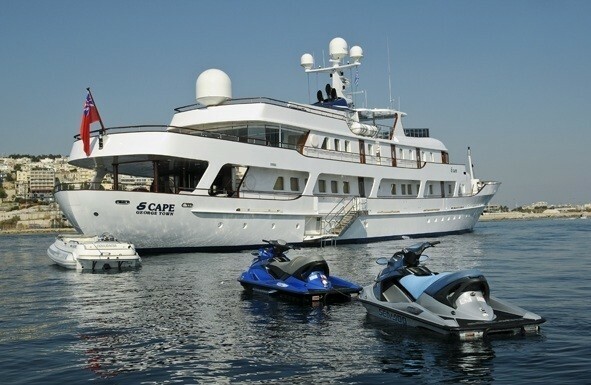 The yacht boasts a large selection of water sport toys for guests to enjoy including a novamarine 7,10 meter tender with outboard Yamaha (225hp), a Novurania 6,90 meter tender with inboard (225hp) Volvo Penta Diesel, 4 jet skis, a rescue boat, inflatable tow rings and 2 donuts, plus a wakeboard and water skis.